Smithsonian Networks is a joint venture between CBS Corporation´s Showtime Networks and the Smithsonian Institution. The service consists of Smithsonian Channel, Smithsonian On Demand, and smithsonianchannel.com. The network?s content is inspired by the Smithsonian Institution?s museums, research facilities and magazines It features original non-fiction programming that covers a wide range of historical, scientific and cultural subjects. It is also available from On Demand in both high definition and standard definition. As of February 2015, approximately 33.6 million households (28.9% of those with television) receive Smithsonian Channel. 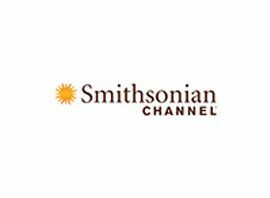 The Smithsonian Channel features a wide array of programming covering science, nature, culture, history, air and spacecraft, and documentaries. They create everything from long-running series to one-off, in depth specials.